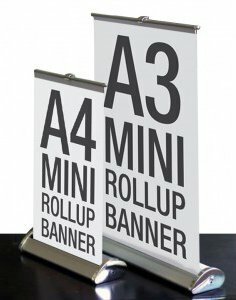 A Pull-up roller banner is light weight so very portable for carrying. Its a powerful marketing tool on its own and very low cost. In a room full of people its a great way to advertise your presence! Due to its size it may not be quite as simple a job as you may think. The average size being 2000mm x 800mm, it needs to be created at no less than 50% of the final size in a suitable software programme. Adding text, a logo and pictures is easy if they are the correct size that will produce a good printed quality. 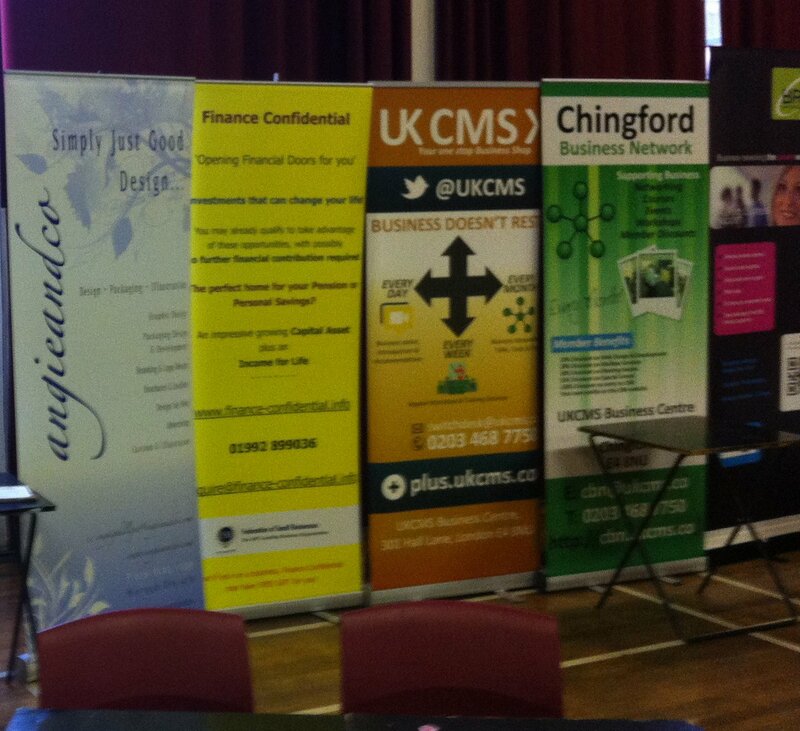 Recently I was approached to quote for a banner with artwork supplied. When asked what format it was in I was not surprised to hear it was a microsoft word file! The A4 file contained a photo which would have only printed a size of 15mm in width. The logo was 150mm, so slightly bigger. Understanding sizes required for printing is a common problem, I have covered this in previous posts about resolution, but you cannot increase the size of images and photos to what ever size they need to be unless they are suitably big enough in resolution. 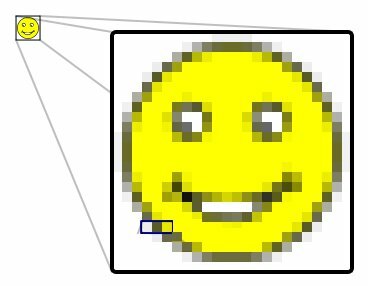 At actual size images need to be 300dpi, so at 50% they need to be 600dpi. 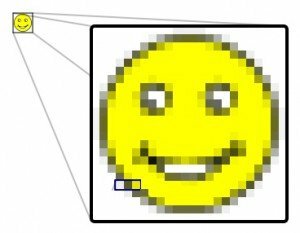 Some printers will accept 300dpi at 50%, which means they would be printing at 150 dpi, usually you can get away with it but for any images less than that I wouldn’t recommend it as the quality of the photos or images would be grainy and blurred. Files for pull-up roller banners are better when produced as vector files so they can be enlarged to any size without losing quality – although that may not always be possible, DONT create it in Photoshop! The size of the file at 300 dpi will be immense! A banner file opened in photoshop will more than likely crash or take several days to load! I have never tried it but I know a man who has! At 50% your artwork must be 400 x 1000mm in size with at least 25mm bleed (bleed is the excess paper or material that is trimmed away to allow a good edge) or more. A larger bleed at the bottom may be required for fitting it into the canister mechanism. 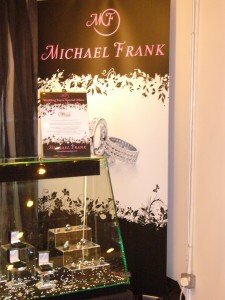 If the banner is not obscured at all you have more scope and space to utilize but the most important details should be above eye level. There are no hard and fast rules but a banner is great opportunity for advertising if you do it right. Many people think the contact details should be above the middle as well and easily spotted. I think as long as they are clear and easy to read the job will be done. 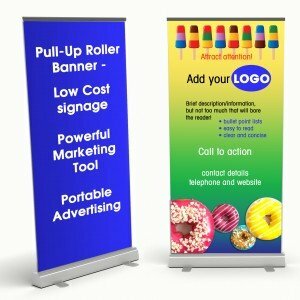 There are many pull-up roller banners offered on the internet for a variety of prices. Remember you get what you pay for. Some mechanisms come from the Far-East and may not be as robust as the ones which are slightly more expensive. The vinyl used can vary in quality. The thinner ones tend to curl or tear easily. 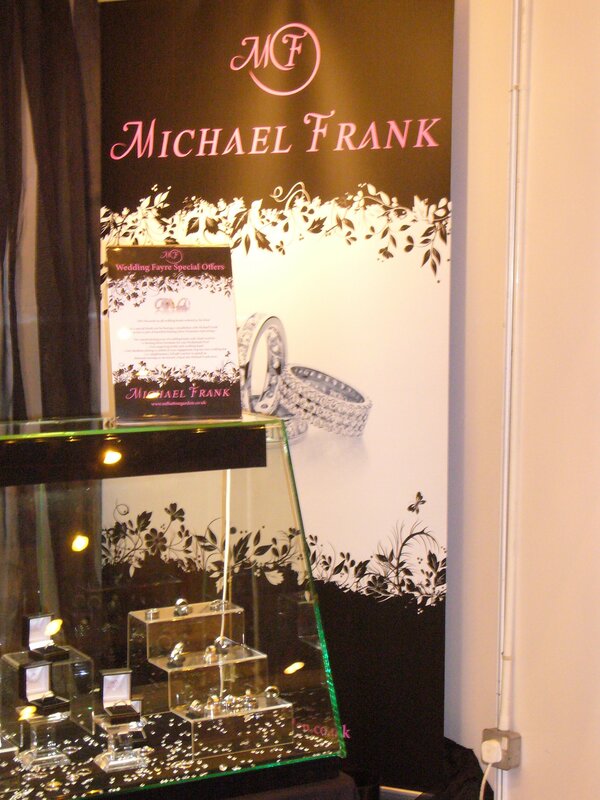 There are often good deals for banners and actually a variety of sizes including A3 and A4 desk top versions. 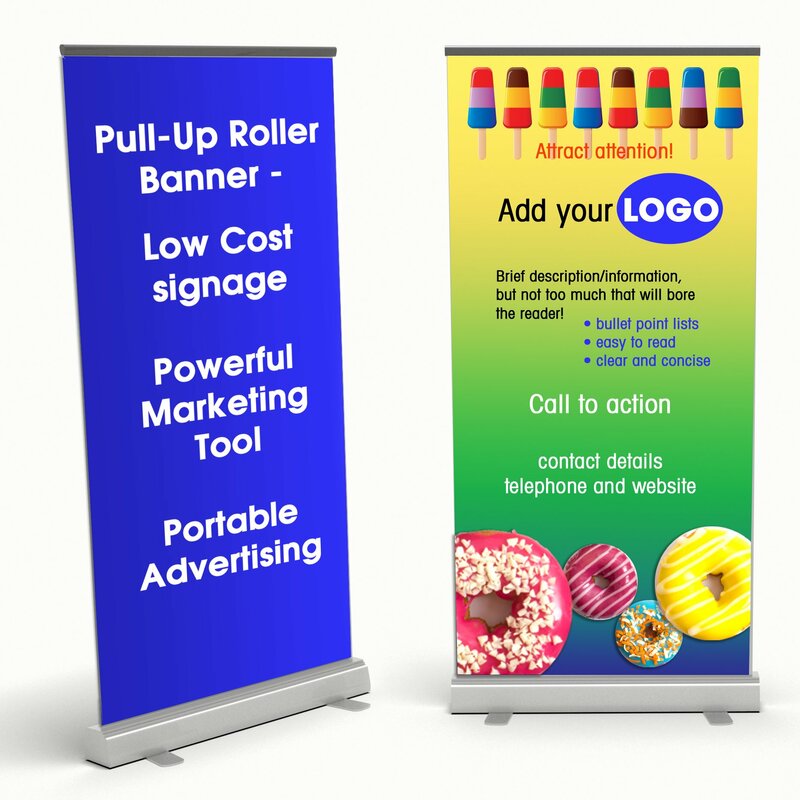 A pull-up roller banner is very versatile and can last for a long time. 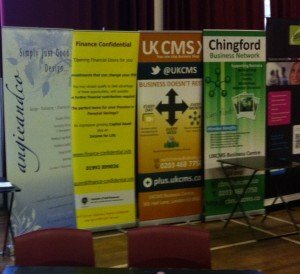 When designing your banner think about the places it will be used and consider carefully what message it needs to communicate. There are lots of good ideas for banners if you do a Google image search, see what you think works!